Ear infections need to be treated with antibiotics. Newborns and infants should be bathed daily. New parents are deluged with advice on how to care for their babies. 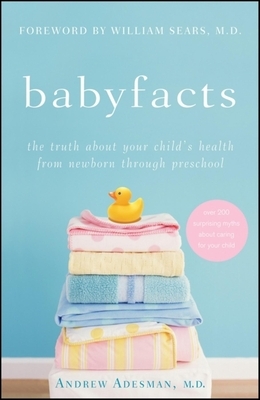 This book explores common baby health myths--in areas such as feeding, sleeping, toilet training, and illness--to help them separate baby facts from baby fiction. Andrew Adesman, M.D., is Chief of the Division of Developmental and Behavioral Pediatrics at Schneider Children's Hospital in New York and an associate professor in the Pediatrics Department at Albert Einstein College of Medicine. He has appeared on the Today show, CNN, and the Discovery Health Channel.